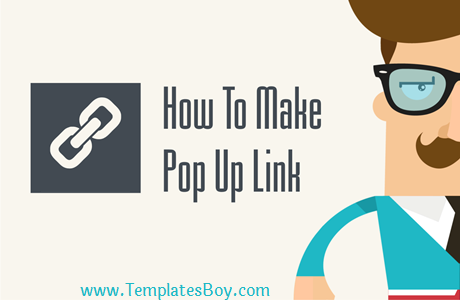 How to Make a Pop Up Link on a Blog - You certainly already know the regular link if you click it, you will go directly to the page on the link. There is also a link that will open a new page when clicked. While in this tutorial, we will create a pop up link. How to Link Pop Up? The pop uplink is a link that when clicked will open a link in a new window / Open Link In New Window. However, we can set this pop up link by itself, the window size can be bigger or smaller. Some say if the link created with Open In New Tab or a new page will be more SEO, how about the link that opens a new window? in my opinion more SEO too. I think so many tutorials about this Easy Ways to Make Pop Up Links. Hopefully it can be useful. Good luck and thank you for visiting.